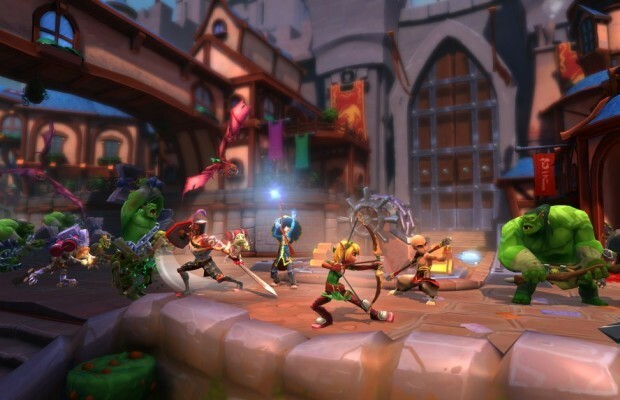 Back when Trendy Entertainment announced Dungeon Defenders II at PAX East this year, they mentioned that in addition to the co-op tower defense mode that made up the original game, the sequel would also feature a competitive MOBA mode. This didn’t exactly sit right with me at the time and it didn’t get better as time went on. The MOBA genre has quickly become the new thing for publishers to hopelessly cling to in hopes of quick success, without realizing that they need to do something truly unique to even hope to get by in the same space owned by Dota 2 and League of Legends. Seeing the sequel to one of my favorite games take a crack at it didn’t fill me with delight, to put it lightly. Thankfully, however, Trendy has realized this error and have announced that the game will no longer feature the MOBA PvP mode. According to Marketing Director Philip Asher, the main reason they decided to axe the MOBA mode was because of fans (myself included) whining about it. “We had strayed from making the kind of game fans wanted and the kind of game we wanted to develop.” So, they ended up gutting that part of the game and really digging down deep to find what worked and what they could add to fix the stuff that didn’t. The game is supposed to a soft-launch some time next-spring on Windows, Mac, and Linux. Unfortunately, the game will still be free-to-play, which has the potential to be disasterously implemented. We’ll see. Here’s hoping Trendy doesn’t screw up one of the few tower defense games I can find myself giving a damn about.